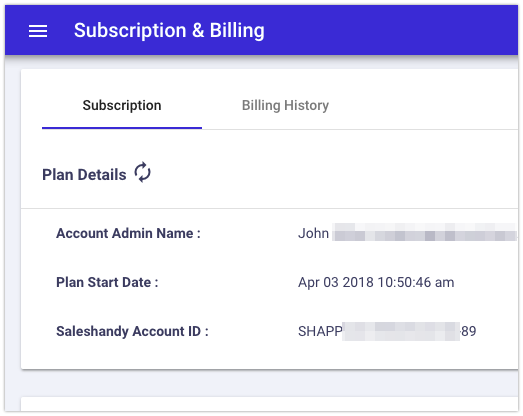 You can check your billing history on "Subscription and billing" page. Switch to "Billing History" tab, to download as well as view the billing details. Note: Currently we have not migrated the data of billing history for the payments made before 8th of April 2018. 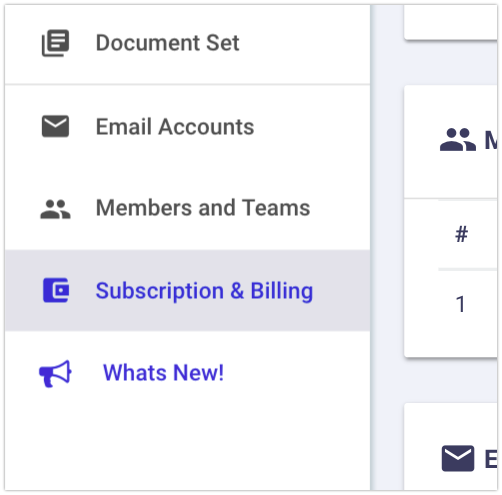 We will soon migrate the data and you can see all the billing details there only. Till then, you can email us at support@saleshandy.com to provide all the billing details & history. Our support executive will download it from the payment gateway side and provide the same to you.